What do customers WISH for? In the modern selling environment we can assume that a customers needs and wants are understood and can be satisfied, otherwise do not pass GO and do not expect to collect any £, $ ,€, ¥. Research is showing that customers are further along their buying process than ever before and are looking for salespeople that can add value by, well, adding value. So what can a salesperson do to add value, how can they grant the customer their ‘WISH’? 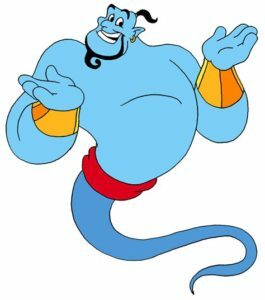 So go ahead, become a ‘sales genie’ and start granting customer’s their wishes.